These are loaded questions, and one-size-fits-all formulas aren’t the answer. These questions can only be answered by you, and you alone. Your unique personality, financial goals, and income level are all contributing factors. Properly weighting your saving and discretionary spending is a balancing act with high stakes. Lean too far towards spending, and you put your financial freedom at risk. But save too aggressively, and you may find yourself chafing under a budget that feels restrictive rather than freeing. 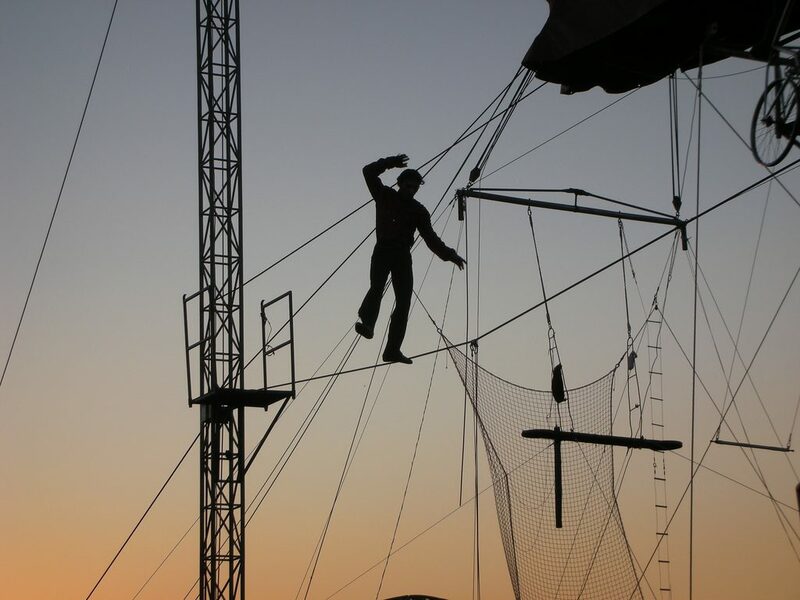 This article will help you find your footing on the save vs spend tightrope. 2 What Is Discretionary Spending? 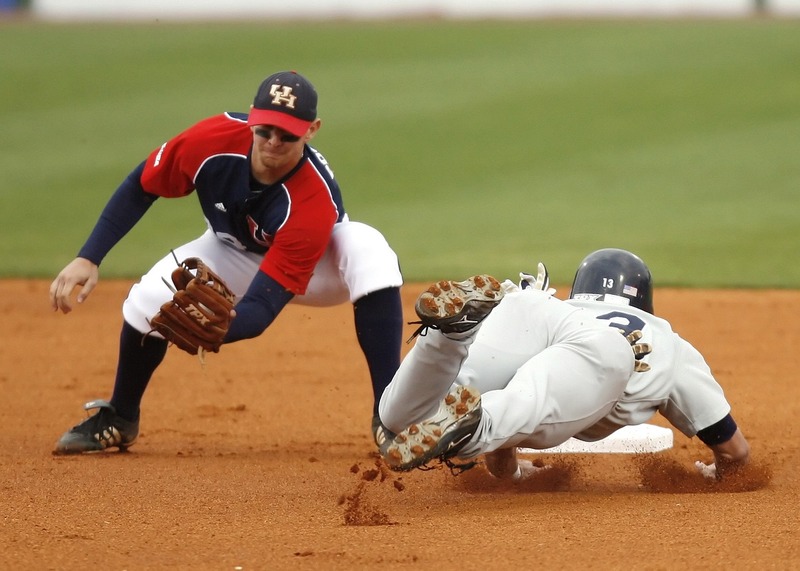 We just finished rounding third base in this money management series, and are now headed for home. Your work to create a sustainable budget unique to your personal situation and goals is nearly complete! You’ll notice that savings goals come prior to discretionary spending in the above list. Paying yourself first via savings goals is necessary to cultivate the Gimme Hands required to become properly selfish… on behalf of your future self. The prior articles on savings goals allocated 100% of your discretionary income to said goals. While potentially unrealistic, this was done intentionally for two reasons. First, to illustrate the powerful potential of hard-core saving – even when performed for a limited amount of time. Second, to make budgeting for discretionary spending properly painful, as doing so will come at the cost of extending the projected completion dates of the savings goals you have already established. This approach should assist you in your attempts to find balance on the save vs. spend tightrope. The first step towards adding discretionary spending to your monthly budget is to clearly define it. Discretionary spending consists of all money spent on non-essential purchases such as leisure activities, entertainment, or hobbies. Examples include non-grocery food purchases, household furnishings and decor, vacations, gift-giving, etc. Now would be a good time to brush up on the differences between discretionary and non-discretionary spending. Remember, you’ve already created individual budgets for all of your bills and non-discretionary spending. It’s only your spending in the remaining categories that you have left to address. The Spending By Category chart from Mint Trends, the tool of choice for reviewing historical discretionary spending. It is here that the foundation you laid earlier by reviewing and categorizing the past 30 days to 90 days of your financial transactions in Mint pays major dividends by giving you a detailed insight into your historical spending. If you are a new Mint user, I recommend filtering the chart results to view only the date range for which you have vetted the accuracy of categorized transactions. You can mouse over any given section of the chart to see the exact total spent for a category. A link to a list of all individual transactions contributing to the total is also available. This list of transactions can be helpful for review purposes if the total for a category seems unexpectedly large. You can also drill down into a category to view sub-categories simply by clicking on a given slice of the pie chart. A helpful table detailing each parent category and its total for the given date range is displayed below it. If you drill into a given category, this table will update with the sub-category values within it. Mint Spending By Category table listing historical amounts of discretionary spending by category. Bear in mind that if you have the chart filtered to any date range other than one month, you will need to convert your spending amounts to their monthly equivalents. You can export the table results directly to a CSV file, or you can copy them into a spreadsheet manually. Your goal is to build a list of all your discretionary spending categories and the monthly amount spent on each. I recommend making this list in Excel for ease of sorting and filtering the data, which you’ll do later on. Don’t forget to click through each of the parent categories listed in the Spending By Category chart to determine whether any sub-categories representing discretionary spending exist. 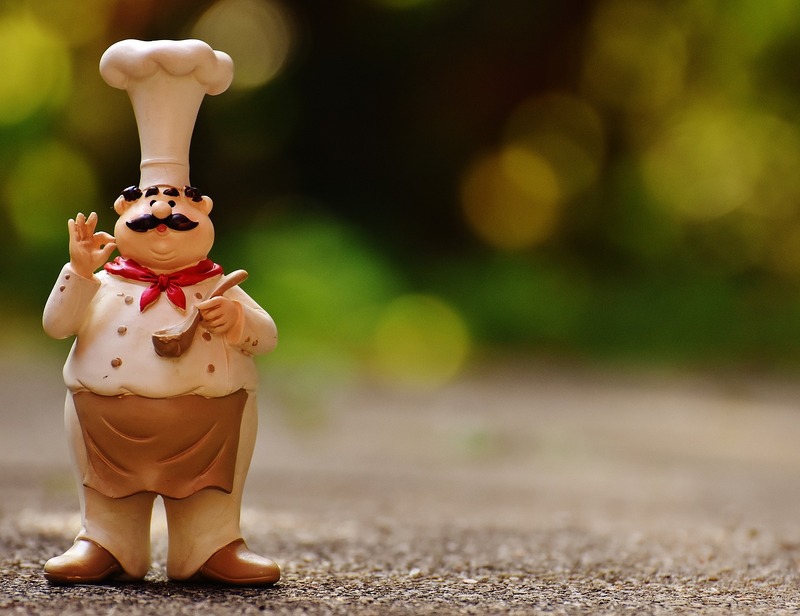 For example, if you have regular monthly spending reported in the “Alcohol & Bars“, “Coffee Shops“, “Fast Food“, and “Restaurant” sub-categories of “Food & Dining“, you should record these individually rather than lumping them all into the parent “Food & Dining” category. If you’re looking at only a 30 or 90-day date range in Mint Trends, you might miss some common forms of large discretionary spending that you shell out for only once or twice per year. In our budget, Christmas gift-giving and our annual two-week road trip vacation meet this criteria. If not budgeted for in advance, holiday and vacation spending can blow up your budget and result in a host of other risks to your financial well-being. Fortunately enough, the same sinking funds solution you used earlier to end your unexpected bill scramble drill can also be employed for large forms of discretionary spending which occur less frequently than monthly. Determine the amount you spent over the last holidays or for your last vacation by using Mint Trends, searching Mint transactions, or consulting your historical credit card statements. Divide the annual total into monthly equivalents, then add these categories and amounts to your list of historical discretionary spending. Once you have built a list containing your historical discretionary spending, you need to prioritize each category. To do so, sort the list by amount spent per month, with the highest value listed at the top. Now review the list to determine whether the categories are listed in what you would consider the correct priority. The spending type most important to you should be listed at the top, and the least important at the bottom. You may find that sorting your list by amount doesn’t translate to ordering it by the correct priority. For example, you may spend the most on dining out, but may consider holiday gift-giving a higher priority upon review. This simply means your historical spending was not aligned with your values, a problem which will be remedied by the end of this article! If this is the case, create a new column in your spreadsheet to indicate priority. Rank each category by its importance to you and assign a number in this column to indicate its priority. When done, sort your list in order of priority. Note that the legwork in the above sections can be done by just one person. But if you share your finances with a significant other, you need to perform this step jointly. This will ensure your budget strikes a balance between saving and discretionary spending upon which you both agree. By now you should already be quite familiar with how to calculate the net profit of your monthly budget, defined as your income remaining after deducting the total of your bills and non-discretionary spending. This task is made simple by Mint’s Budget Scoreboard, located on the Budgets page. 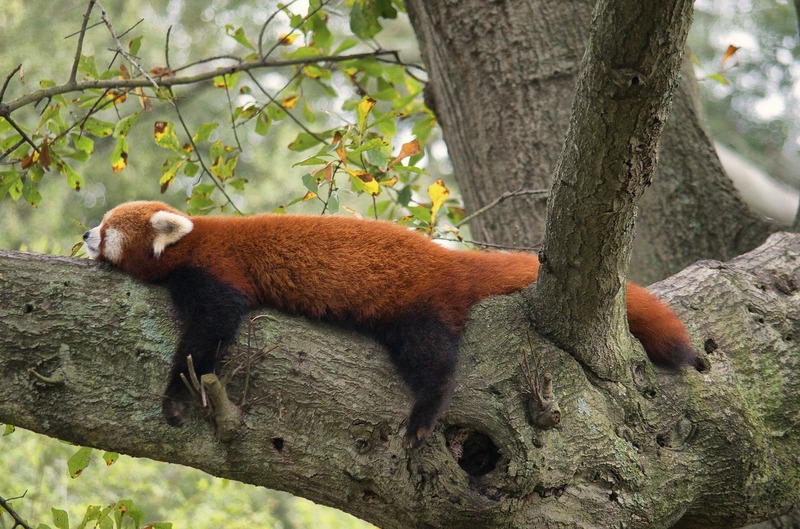 In the preceding articles, you’ve used your monthly net profit to calculate how quickly you can afford the items on your financial freedom shopping list, such as becoming debt-free and reaching the finer things in life. Those calculations were based on using 100% of your monthly net profit for savings goals, leaving nothing for discretionary spending. Your Budget Scoreboard should currently list a “Left Over” amount of $0. Take a minute to review the savings goals you created in Mint after the last article. Make a note of the projected completion date listed for your highest priority savings goal. This date will extend as you reduce the amount you’re saving for goals and shift it to discretionary spending. Quantifying the impact of discretionary spending on your ability to achieve the items on your financial freedom shopping list is essential to finding the proper balance atop the save vs. spend tightrope. First you need to decide what amount of minimum monthly spending qualifies a category for being tracked with a budget. I recommend starting with a baseline criteria of $10 or $20/month. Don’t get hung up on this amount, as you can always adjust it up or down in future as desired. 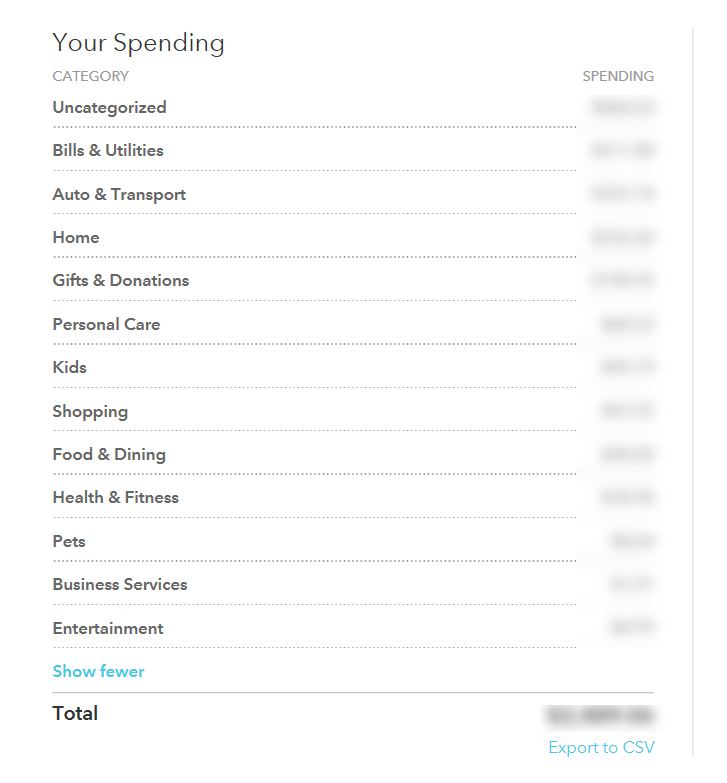 While you can create budgets for all discretionary spending categories if you so desire, filtering out insignificant spending makes managing your monthly budget easier at the start. You can now begin making informed decisions regarding the ratio of savings to discretionary spending in your monthly budget. Everything in this Master Your Money series up to this point has been preparing you for this moment of truth. 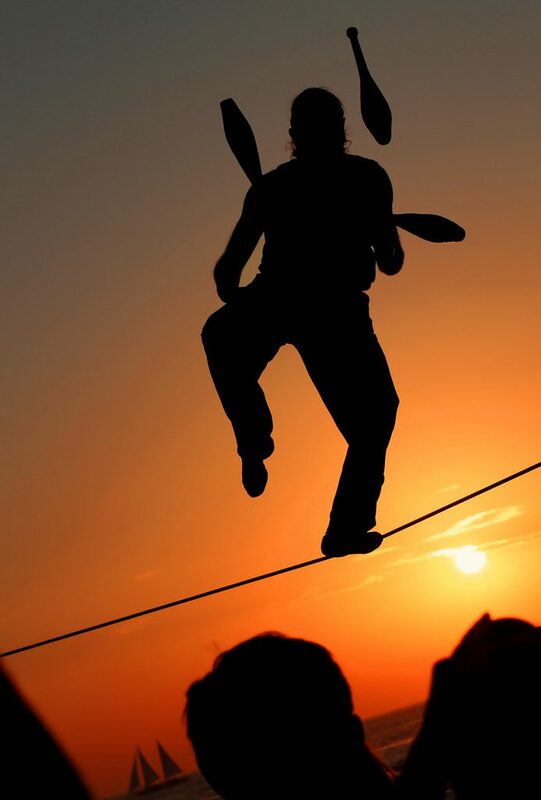 It’s time to take that first, shaky step onto the save vs. spend tightrope. By now you should have everything you need – the net profit of your monthly budget, your financial freedom shopping list, your savings goal ladder, and your historical discretionary spending by category. All that remains is to balance these four elements using Mint’s Budget Scoreboard as a guide. The amounts you have currently budgeted for discretionary spending and savings goals should be combining to show a deficit on the “Left Over” line of your Budget Scoreboard. Your goal is to judiciously reduce these amounts until this line reads $0. Experimentation is the name of the game when seeking balance between discretionary spending and savings goals. First, reduce your monthly savings goal contribution by the amount of your current budget deficit. Note the change in the projected date of completion. This is effectively the trade-off you are making by maintaining your historical levels of discretionary spending. If this new date is unsatisfactory, consult your prioritized list of historical discretionary spending by month. Begin reducing budgeted amounts for each category, using your assigned priority as a guideline. If you share your finances, you should do this in tandem with your significant other. Apply the monthly savings generated from each budget cut to your highest priority savings goal. Continue reducing budgeted discretionary spending until the projected completion date of this savings goal is acceptable to you. Finding the right balance will require some back-and-forth experimentation and weight shifting. Make as many adjustments as you need – there is no right or wrong, only what feels right to you. A reading of $0 on the “Left Over” line represents a perfectly balanced budget. However, I’ve found it helpful to leave a small cushion of unallocated cash in our own monthly budget. This helps protect against fluctuations in utility bills from month-to-month and small, irregular expenses not usually budgeted for. I recommend leaving a cushion of unallocated cash in your monthly budget consisting of 10% of your budgeted spending. 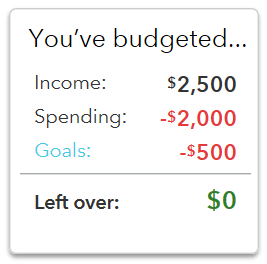 For example, if your budgeted spending totaled $2,000, your goal should be to reduce the amounts you have budgeted for savings goals and discretionary spending until the Budget Scoreboard is indicating a $200 monthly surplus. Continue the balancing process outlined in the section above until the Budget Scoreboard indicates your target monthly surplus. This cushion will provide a layer of security if you misjudge your footing on the save vs. spend tightrope. After balancing your savings and discretionary spending, you may find that neither are quite at the level you’d like. If this is the case, remember that you may be able to free up significant cash flow by mining your debt. Should you decide to do so, the Debt Snowball payoff method will provide you with additional breathing room the most quickly. After the conclusion of this Master Your Money series, the focus of new content will shift to savings strategies. These articles should help you increase your savings rate or discretionary spending as you see fit. The above approach should enable you to quantify and visualize the effects of your spending and saving on one another so you can find the balance that best suits your lifestyle. Saving aggressively will speed you to your goals, but may leave you with little to no discretionary income along the way. While this may be a fit for some personalities or situations, it could spell disaster for others who would feel too constrained. On the other hand, spending most or all of your discretionary income will leave you unable to save for the items on your financial freedom shopping list, and unable to ever reach the finer things in life. Personalities, incomes, and lifestyle goals differ. Your budget should reflect YOUR ideal, not someone else’s. The principles in this article will help you master the high stakes budgeting balancing act. 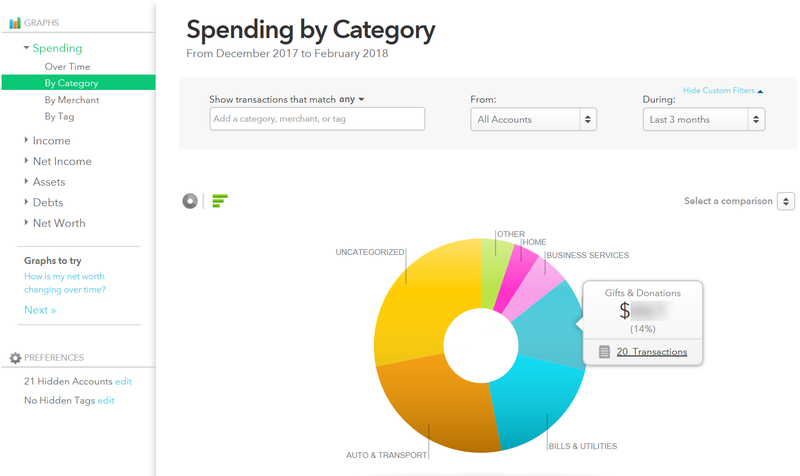 Use the Spending By Category chart in Mint Trends to identify your discretionary spending categories, sub-categories, and monthly amounts. Filter the chart by the time period for which you reviewed Mint’s automatic categorization of your expenses. Click through each category to view all related sub-categories. Use the data from the table below the Spending By Category chart to create a spreadsheet of your discretionary spending categories and monthly amounts. If the chart is filtered to a period other than one month, remember to convert the values listed to monthly equivalents. 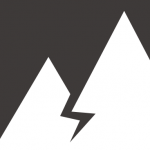 You can export data directly from Mint as a CSV file or you can copy it over manually. Manually query your holiday gift-giving, vacation, and other major sources of non-monthly discretionary spending to determine typical amounts spent. Use a combination of Mint Trends, Mint transaction searches, and historical credit card statements to locate this information. Convert it to monthly equivalents and add it to your spreadsheet if not already present. Sort your spreadsheet by amount, listing highest at the top. Review the list with whomever you share your finances with and establish a priority for each category of discretionary spending. View your Budget Scoreboard in Mint and verify that your “Left Over” amount is $0. Review your currently active savings goal created at the end of the last article and write down the projected completion date. This date is currently based on allocating 100% of your monthly net profit to this goal. Consider creating a minimum monthly spending threshold which a discretionary spending category must meet to be eligible for budget creation. Create budgets for all discretionary spending, using the categories and amounts detailed in your spreadsheet. Exclude any categories which do not meet your minimum threshold. You will need to create some additional transaction sub-categories in order to create budgets for your large non-monthly discretionary spending categories such as holiday gift-giving or vacation. Model these after the transfer categories you created for your bill-related sinking funds in steps 4 and 4.1 of this article. Lower your budgeted contribution to your active savings goal by your current budget deficit. Note the difference in projected completion date compared to the date predicated on using 100% of your discretionary income. Evaluate and begin reducing your budgeted amounts of discretionary spending by category, which reflect historical rates. Consult your significant other during this process and reference the priority assigned to each type of spending per your spreadsheet. Use the resulting surplus surplus created by each budget cut to increase your contributions to your active savings goal until you feel you have reached the proper balance of saving to spending. Calculate your recommended cash cushion as 10% of the spending total listed on the Mint Budget Scoreboard. Continue the above balancing process until the scoreboard indicates a surplus in this amount. If after balancing your saving and spending you feel that both are too low for comfort, revisit the concept of mining your debt. If you have debt, consider saving aggressively for a specific period of time. This will enable you to quickly boost your income by eliminating minimum payments on small loans. Remember that while the Debt Avalanche is the most mathematically efficient debt payoff method, the Debt Snowball will free up cash flow most quickly. Did you reduce your historical discretionary spending at all in favor of savings goals? If so, what budgeting changes did you make?